The solution to short eyebrows! Brigitte, specialist in dermo-pigmentation and 3D microblading with over 25 years of experience, suggests this offer to the busy, feminine, working, sporty, or natural woman. This technique consists in sketching individual hairs for a light and natural effect, allowing also for the raising of the tail of the eyebrow by half a centimeter for a brow lifting effect. The instrument has many sterile nano needles with mineral and vegetable pigments and follows a design for the lengthening, thickening, and heightening of the eyebrows. Once the pigments have stabilized, a retouch is offered to you after 4 to 6 weeks. This retouch is included in the price. We apply a local anesthetic for comfort. 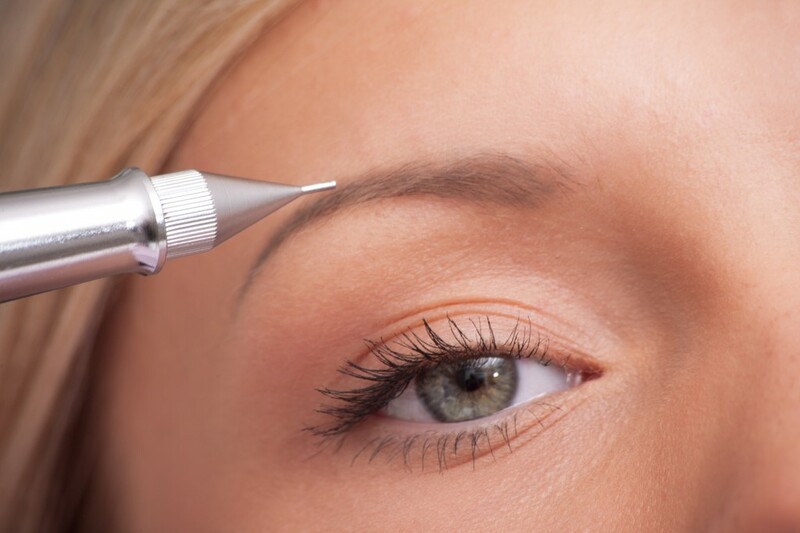 Minimal redness may appear after the application of the permanent makeup and fades within 12 hours. Your new glamor look will last 12 to 18 months, depending on your skin type, oily or dry, and depending on exposure, such as to the sun or the sea. Our natural “Swiss Control” pigments are high quality and long-lasting.